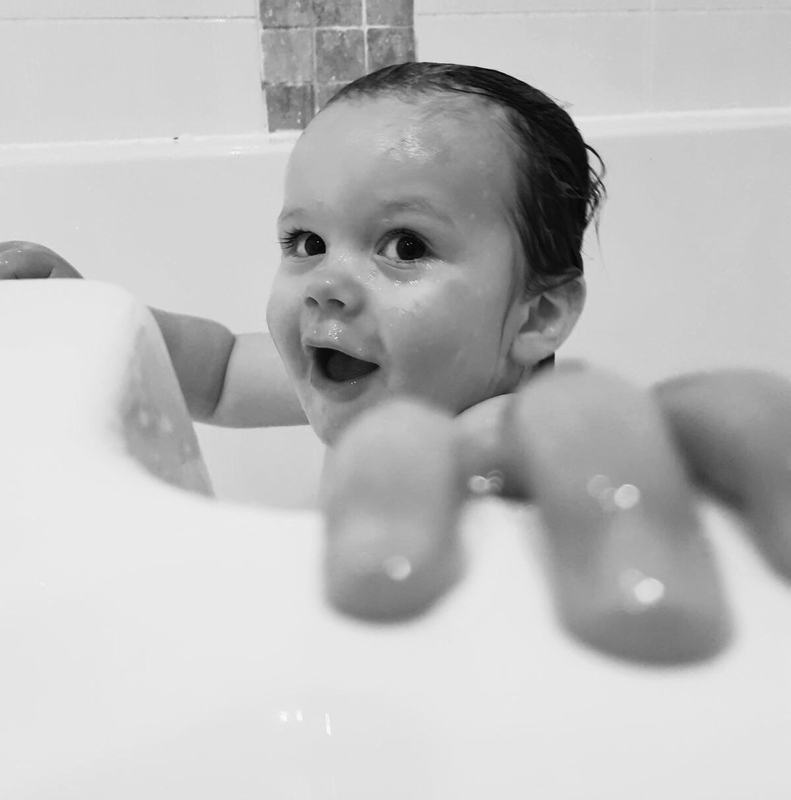 As I mentioned in a previous blog post I’m a sucker for baby skin care products – you name it and we are more than likely to have it. During my daily stalk of other Instagram mummies I came across an oh so lovely account via Susie Verrill’s feed called Love Boo. After spotting a dreamy bath soak containing rose geranium oil, white water lily and mallow I knew I had to give them a try! (I’m a sucker for anything rose scented). The lovely Jennifer kindly sent myself and Sebastian some products to review! I was sent said dreamy bath soak along with a soft & creamy body smoother and Sebastian had a selection of bath products. First up was their top-to-toe wash. This does exactly what it states on the label. It cleans Sebastian’s luscious locks right down to the black fluff in between toes! We used to use a ‘well known’ baby shampoo brand but I always found that Sebastian’s hair would still be greasy afterwards. 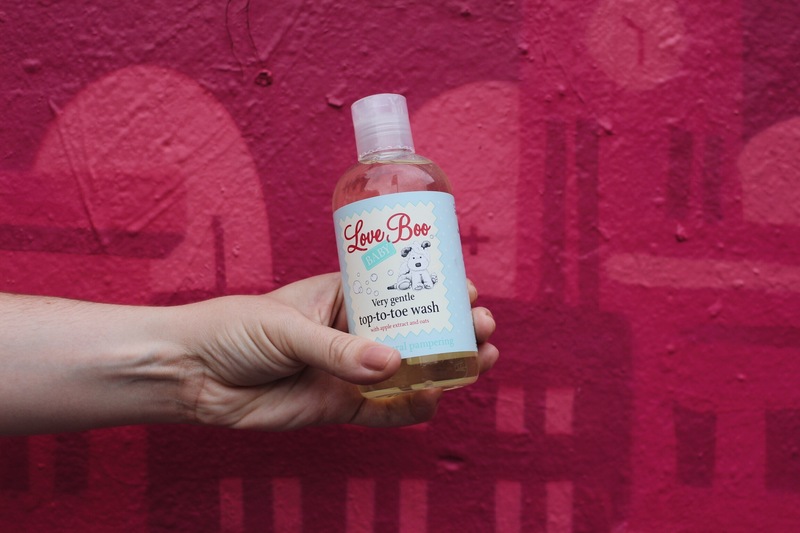 Love Boo’s top-to-toe wash contains softening oats and conditioning olive oil leaving his hair silky and conditioned. It’s perfect for the little curls that are gathering at the back of his neck….and no he isn’t getting his hair cut again anytime soon (a fringe trim obviously #stopasking #smilyfaceemoji). 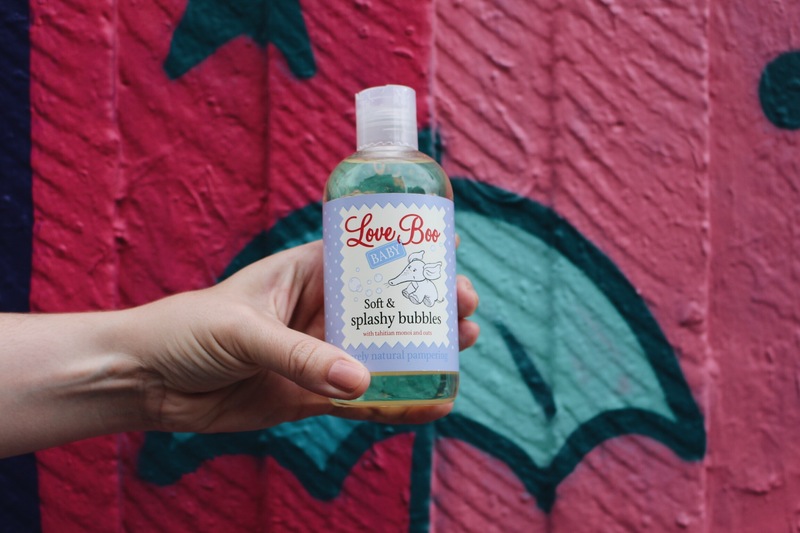 Next up was their soft & splashy bubbles and boy are there a lot a bubbles… that actually last!! Containing natural ingredients such as Tahitian Monoi, from Tiare blossoms to hydrate and protect and marshmallow plant extract to help lock in moisture and keep perky baby bottoms extra soft! All items were kindly gifted to Sebastian and I for this review. Further information about Love Boo can be found here.